RUSH: The U.S. attorney for the Central District of California — that would be Nick Hanna — is, as we speak, announcing the multiple-count indictment of Michael Avenatti for fraud and embezzlement. He’s the first of the Democrat presidential contenders to go down the tubes here. (laughing) Well, he was! He was touted, at one time, as maybe the best hope the Democrats had for defeating Trump. That has now become Mayor Pete, by the way, the guy I told everybody to keep their eye on. (laughing) They’re now saying it’s Mayor Pete. This is Brian, Bunker Hill, West Virginia. Welcome, sir. Great to have you here. CALLER: Thanks for taking my call, great American patriot. CALLER: Absolutely. My comment is, I’m wondering why Mayor Pete is running for president but yet he is trying to pick a fight with the vice president of the United States. It makes me wonder if he’s trying to set himself up to go on the ticket as the vice presidential candidate — and, Rush, if I can, can I make a quick comment on this coup? CALLER: Yes. They keep trying to make Donald Trump out to be a idiot, a imbecile. Now, they used the Department of Justice, the State Department — they used the U.S. ambassador to the United Nations, the DOJ, and the United States intelligence agencies — to try to take this president down, and they failed. Are they actually the imbeciles, or is our intelligence agencies not what we think it is? RUSH: Yeah. Well, you know, that’s another subject. (sigh) You go back to the weapons of mass destruction that weren’t… Well, let’s be honest. There aren’t any there. I don’t know whether they were there and they had been moved, but they weren’t there when we got there, and they had told everybody that they were there. They didn’t give us the heads up on 9/11. If you wanted to pick holes with the intelligence community and say they’ve been coming up short, you could, and they would come back and say, “Well, that’s because of the wall! “We aren’t allowed to share information, FBI to CIA,” which was true, because of the Clinton administration. But you know, talking about the effectiveness and the reliability of the intel community is another subject. Your question about Mayor Pete and why does Mayor Pete keep harping on Vice President Pence? It’s not because Mayor Pete is angling to be VP. This is deeply rooted in Christianity and homosexuality, and Mayor Pete is harboring a real resentment over Vice President Pence, who used to be Governor Pence, during the Religious Freedom Restoration Act in Indiana. I mean, I can’t find where he’s had negative things to say about Mayor Pete. Maybe he has, but I haven’t found ’em. The stuff I’ve found has been praiseworthy of Mayor Pete as a human being and so forth. But, look, homosexuality is… Well, in parts of the Democrat Party, it’s one of the heavy-donor areas. I refer to militant homosexuality as weaponized, politically weaponized. There are a lot of gay people who are not even into politics. There are gay liberals, gay Democrats, gay Republicans, and it’s not the chief, primary political-identifying factor. But for those to whom it is, most of them are on the Democrat side, the leftist side. They give a lot of money to the Democrat Party, and it’s used to flush out bigotry and homophobia and hatred that supposedly exists on the right. Speaking of all of this — and, actually, it was the fact that you’re from West Virginia out there that reminded me of this. (Southern accent) “You all remember Ralph Northam, the governor of Virginia? You remember this guy, Ralph Northam, that came out there and said that if a woman wants to kill her baby — even after it has done been born — then she can in Virginia, and that we gonna do whatever we can to make that baby comfortable while the woman be decidin’?” And then, after that had been learned, it had been revealed that Governor Northam had posed in blackface for photos in his medical school yearbook. 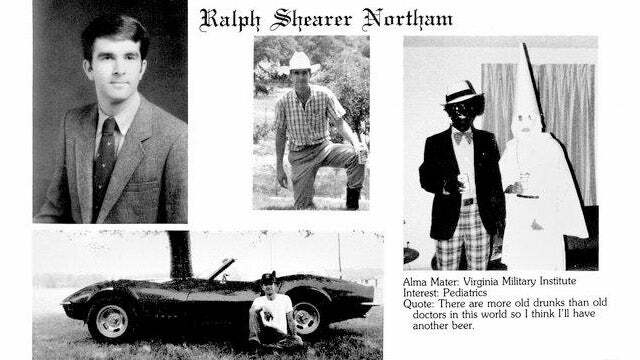 So those photos and the blackface controversy were used to make everybody forget about what Ralph Northam has said about babies being expendable. And then, the lieutenant governor was discovered to have been his own kind of sexual predator, which then further made people forget about Ralph Northam. And then the media, since they’re both Democrats, decided to try to forget about both of them. And it looks like that it has worked because I have a story here from the Washington Free Beacon, and you want to hear the headline? Well, here it is: “Virginia Dems Sorry for ‘Rush to Judgment’ Against Northam,” and you note they had to get that name “Rush” somewhere in the headline. “Virginia Democrats called for Gov. Ralph Northam to resign,” but now they say they sorry. They were rushing to judgment out there. Statements were made before people even talked to the governor. “‘It was like a snowball coming at you, bigger and bigger and bigger,’ Del. Patrick Hope (D-47th) said…” So now everybody is apologizing to Governor Northam, who has survived both the baby controversy and blackface, because the people that went after him now say that they are sorry.